TO MANY EQUITY investors, the futures markets are viewed as a gambling arena not unlike the race track or local casino. For more than 20 years, I have been trying to negate this belief by educating investors of the true purpose of the futures and options markets and why they were developed. The long hedge is an important tool used in these markets by a commodity end user (buyer). By buying a futures contract they can fix acquisition costs, mitigate risk, and ensure a certain profit margin. To understand how a long hedge is used, let’s use the analogy of a home builder wishing to develop a new community in which they will presell a portion of their inventory. These units will be built over the next twelve months. The developer wishes to remain competitive with their pricing by determining the actual cost of building these homes. This is done by calculating the cost of goods over the next year. The main concern for the developer is to protect their profit from sudden cost increases once the home price has been established with the purchaser. If for any reason there was a sudden rise in copper, the developer would be at risk for having a higher than anticipated cost to complete the house on budget and lose some of their profitability. This is known as risk and if it is not addressed can be the cause of losing profit margins on each unit sold. This example describes a commercial end user and their need to offset the risk to a third party. In this case, the developer would lock in their product costs to protect against price increases by buying the futures contracts of the materials needing protection for the time period required. This would create a long hedge. If the price of a particular product rose in that time period, the developer would simply offset any cost increases with the profits they made from the futures contracts. On the other hand, if the prices of the commodities were to decrease, any losses realized in the futures markets would be offset by the actual cash prices of the physical commodity. Price increases are protected but windfall profits from slumping prices are also negated. An example more familiar to grain farmers might be a flour mill operator who wishes to control their raw materials cost and reduce risk associated with price fluctuations. Flour mills, who are expecting to purchase several thousand tonnes of wheat at a future date for its processing, need to protect against price fluctuations. The processor is at risk of rising wheat prices, which will squeeze its profit margin. To hedge the risk of rising wheat prices, the processor takes a long position in the wheat futures market. Any profits made in the futures would be offset by increases in the physical cost of the wheat and any losses in the futures would be offset by the cheaper prices in the physical product. 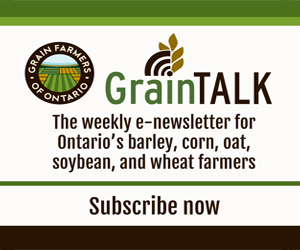 The actual wheat contract is not deliverable against the physical wheat in Canada, however, the price protection works by offsetting the contract and purchasing the cash wheat. Other sectors that benefit from reducing risk through the use of long hedges include pipeline builders (steel), trucking and airline companies (fuel), and international manufacturers (currency). Cash price: The price you would expect to pay or receive for a given commodity in a given geographic location at a given point in time. Futures contract: A fixed quantity and quality of a commodity traded on a recognized exchange. In the case of grains, the Chicago Board of Trade contract is 5,000 bushels. Equity investing: Usually pertaining to ownership of a company in the form of shares.